Another judge held that bugged courthouses in two East Bay counties were legal. The bugged courthouse. Redwood City, California. The FBI violated the Fourth Amendment by recording more than 200 hours of conversation at the entrance to a county courthouse in the Bay Area, a federal judge has ruled. 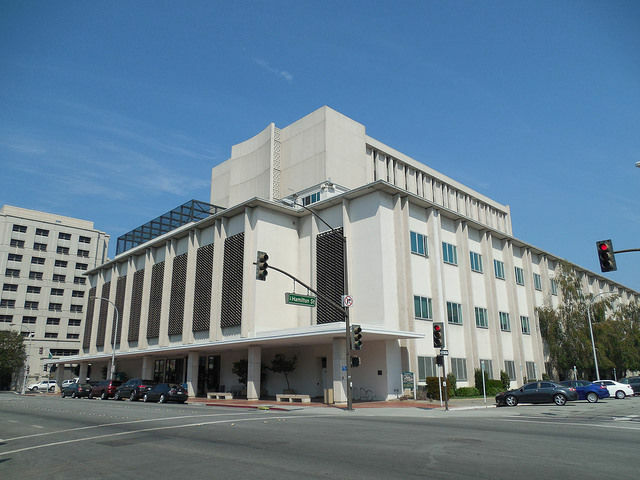 Federal agents planted the concealed microphones around the San Mateo County Courthouse in 2009 and 2010 as part of an investigation into alleged bid-rigging at public auctions for foreclosed homes. In November, lawyers representing five defendants filed a motion arguing that the tactic was unconstitutional, since the Fourth Amendment bans unreasonable searches. Breyer concluded that the disputed evidence must be suppressed. At a hearing next week, he’ll consider whether the recordings tainted the rest of the prosecution’s case. The FBI began its investigation using a cooperator who agreed to wear a wire at several auctions. They recorded his conversation with the five defendants. An undercover agent posing as an investor also wore a wire and made audio and video recordings. Those techniques don’t require judicial authorization. Agent planted small digital recorders known as Knowles EM-23069s. The devices, small squares that measured about 1.5 inches on each side, are specifically designed for law enforcement. The devices were planted in a sprinkler box, a planter box, and a backpack in addition to two unmarked vehicles parked about 30 feet from where the auctions took place. The legal question boiled down to whether the defendants had a reasonable expectation of privacy in their conversations, and after three days of evidentiary hearings, Breyer found that they did. Four of the five defendants submitted sworn declarations saying they “believed and expected” their conversations outside the courthouse were private and confidential. The defendants also spoke in quiet tones, discussed private affairs, and took affirmative steps to protect their privacy, all of which added weight to their argument. The order was reported yesterday by The Recorder. “The FBI could’ve tried to go to the judge and gotten approval for this recording scheme, but they didn’t,” defense lawyer Matthew Jacobs of Vinson & Elkins told that newspaper. A DOJ spokesperson declined to comment. The ruling runs counter to a ruling by another judge in the same district, also reported by The Recorder. US District Judge Phyllis Hamilton wouldn’t suppress recordings made outside courthouses in the East Bay counties of Alameda and Contra Costa, saying that defendants didn’t take steps to protect their privacy.